position available for a receptionist to locum at a well equipped practice in Shropshire, this is to start ASAP and will finish around the end of May. You will receive a competitive salary, great benefits package and a fantastic rota which will give you a great work/life balance. 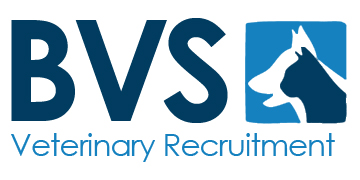 We have a new ongoing position available for an RVN to locum at a well equipped practice in Shropshire, this is to start ASAP and will finish around the start of June. We are looking for a passionate RVN to cover maternity leave at a friendly small animal practice based in Shropshire. We are looking for a vet surgeon to cover 6 -12 months annual leave at a 5 site practice in the Telford area, Shropshire. You will benefit from a great rota that entitles you to a lovely work/life balance. A competitive salary is on offer for this role along with a great benefits package. An exciting opportunity for a Weekend Vet to Locum at a friendly practice in Shropshire has arisen. This is to start ASAP to cover a period of around a month. You will work Saturday only for half a day. Competitive salary is on offer. We have a new opportunity for a Small Animal Vet to Locum at a friendly practice in Shropshire. A competitive salary is on offer.  We are looking for a Small Animal Vet to Locum at a busy practice in Shropshire. A whole week would need to be covered for this role. Competitive salary is on offer for this position. We have a great opportunity for a Veterinary Nurse to Locum at a well equipped practice in Shropshire. This is an ongoing position where you will benefit from a great working rota, competitive salary and other great benefits. We have a new opportunity for a Locum Veterinary Nurse to join a friendly practice in Shropshire. You will work alongside a great team of vets and nurses who will support you throughout you time at the practice. We have a great position available for a RVN to Locum at a busy practice in Shropshire. You will join an enthusiastic team who strive to give the very best care to all animals that come into the practice. This role requires an immediate start and will end at the end of June 2017. We have a great position for a Weekend Vet to Locum at a busy practice based in Shropshire. You will work Saturdays for half a day. You will join a dedicated team of vets and nurses who strive to give the very best care to each animal they see. Competitive salary is on offer for this role. We have a new position for a Small Animal Vet to Locum in a lovely practice based in Shropshire. You will join a fantastic team of vets and nurses who strive to give every pet the best care possible. This role is to start immediately, you will benefit from a great rota and a competitive salary. A great opportunity for a Small Animal Vet to Locum at a busy practice in Shropshire has arisen. This role will position will require cover for around a week. You will work with a great team of vets and nurses who are dedicated to working hard as a team as well as giving the best treatment to the pets that enter the practice. We have an exciting opportunity for a Locum Veterinary Surgeon to join a friendly, dedicated team in the area of Shropshire. You will be working Saturdays only. This role will require an immediate start. We have a new opportunity for a Locum Veterinary Nurse to join a friendly team in the area of Shropshire. This position requires an immediate start with an end date of the end of April. We have an exciting opportunity for a Locum Nurse to work at a friendly practice in the Shropshire area. An immediate start date is a required for this role with a finish date of 30 June 2017 . We have a great job opportunity for a vet surgeon to cover 6 -12 months annual leave at a 5 site practice in the Shropshire area. We have a new and exciting opportunity a passionate RVN to cover maternity leave at a friendly small animal practice based in Shropshire.